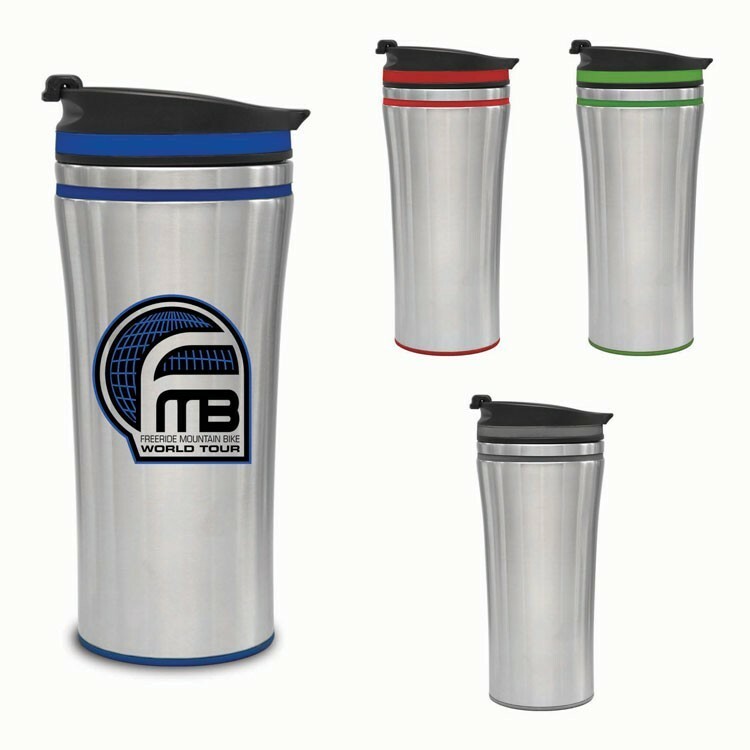 - Solid silver colored tumbler with color accented lid. 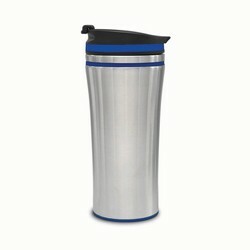 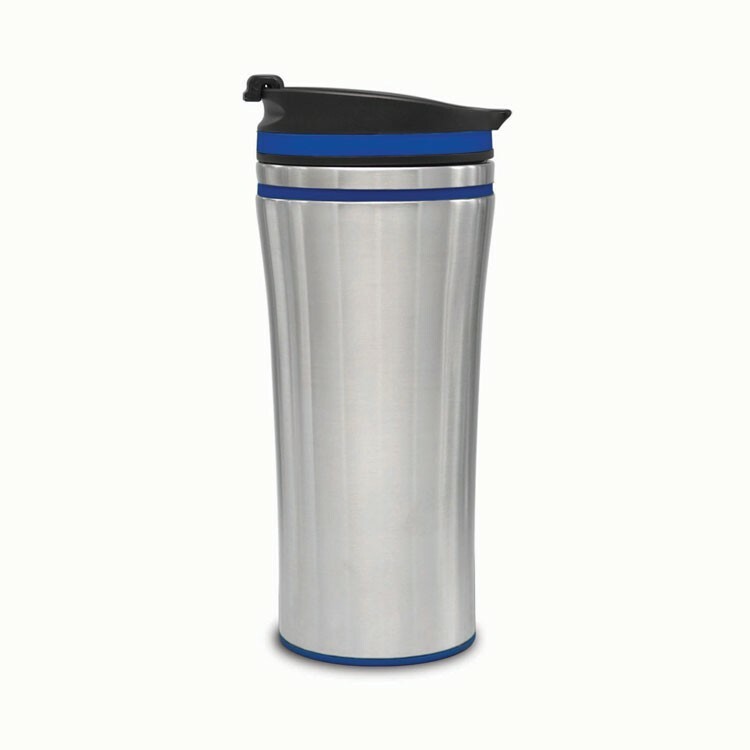 - Features a twist-on flip open/close lid. 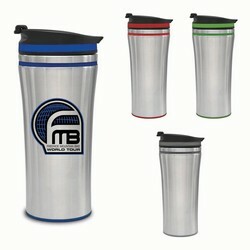 Screen Imprint Area: 3-1/2"H X 2-1/2"W - Wrap: 8"